In term of my second year of study, I need to do an internship in order to improve my English. 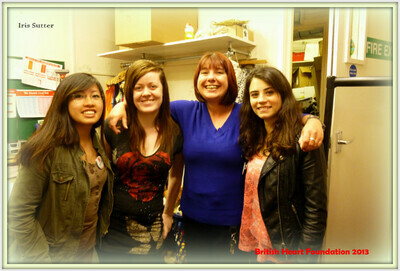 I am currently working as a volunteer in the charity shop British Heart Foundation in Lancaster. It is located in Cheapside street in the pedestrian area. The British heart foundation is the biggest funder of heart research in the UK. It was founded by a group of medical professionals in 1961. The aims was to "fund extra research into the causes, diagnosis, treatment and prevention of heart and circulatory disease. And their ideal is to fight heart disease and create a world "where people don't die prematurely from heart disease". The charity shops are implanted in several cities. During my trips, I have seen charity shops of British heart foundation in almost every city I visited. I have seen them in Edinburg, Liverpool, Blackpool, Chester. Actually, the foundation is active in England, Scotland, Northern Ireland and Wales. The principe is to collect funds to finance the research and to sensitize people to the issue of heart disease. The fund collection is done from people donations. People can give money or good. If it is by money, the donor can donate some money via texts, cheque, debit card or directly through their salary if they are regulated donors. British heart foundation ensure that for every £1 donors give, "82 pence is spent on the vital research, prevention and care in fight for every heartbeat. For the other way, people can help the foundation by giving goods they don't need anymore. For that, they must let it in any British Heart Foundation charity shop which then collects clothes, shoes, DVDs, CDs, and other accessories and stuffs that people don't want to keep. They sort articles they can sell and articles they must throw. It is in that part of work that I am working as a volunteer. I am mainly on the till, so I am in direct contact with customers and I have the opportunity to advise them about products or prices. I also iron clothes with a steam. My activities are quite simple but I like working in the shop and it is nice to work for a good and human objetive, not to get money but to help people. I was quite surprised to see how much charity shops are "fahionable" in the UK. Indeed, we can find several charity shops in every cities and there are no less than 5 charity shops in the main street of Lancaster!